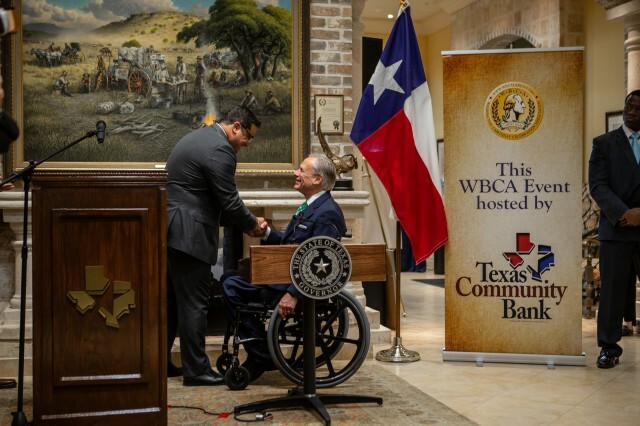 Governor Greg Abbott was today named Mr. South Texas 2019 by the Washington's Birthday Celebration Association (WBCA) at a press conference at Texas Community Bank in Laredo, Texas. The Mr. South Texas designation is presented to a deserving individual who has made a significant and lasting contribution to the growth and development of Laredo and the South Texas region. As a part of the Mr. South Texas designation, the Governor becomes a member of a select group of national and international distinguished men and women who are honored for their dedication and countless hours of service and support to the WBCA. An official induction ceremony and presentation of the Caballero Medallion to awardees will take place in early February 2019.